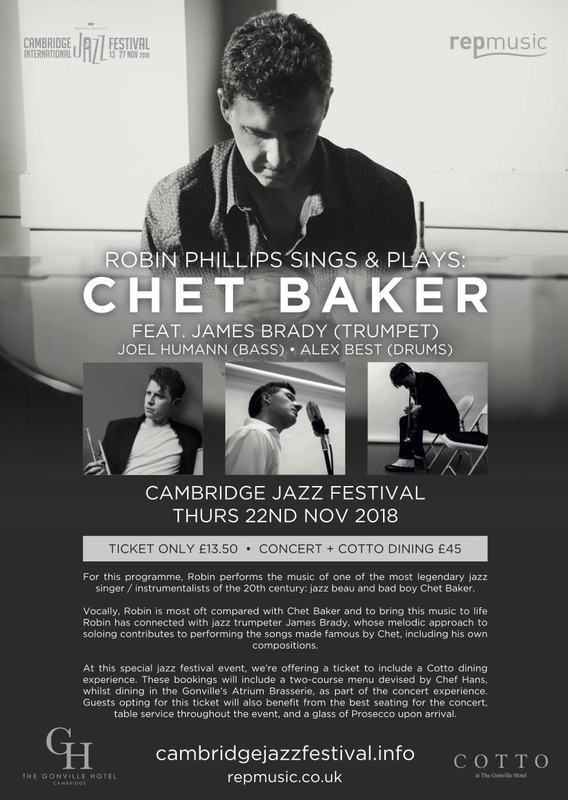 The Robin Phillips Trio ft. James Brady will perform their Chet Baker programme at The Gonville Hotel as part of the Cambridge Jazz Festival on Thursday 22nd November! Also, Matthew Ruddick will be reading from his new book on Chet Baker: Funny Valentine! Those with dining tickets will also hear Matthew talk about writing the book. This event will definitely be a highlight of Robin’s gig calendar this year, don’t miss it! Click here for more info and for booking tickets.